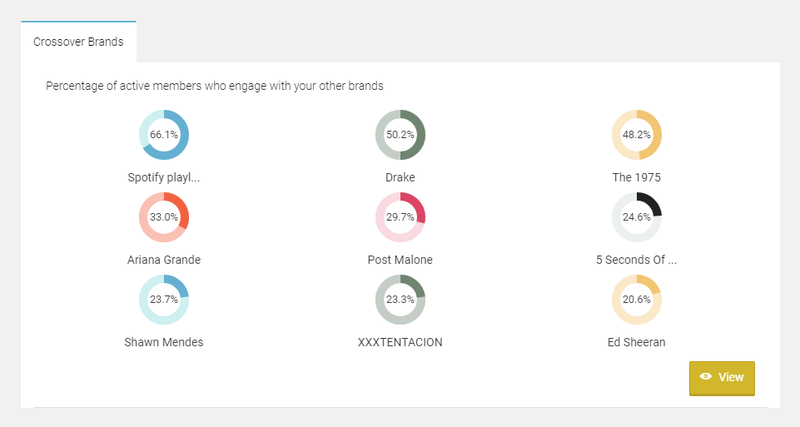 Crossover brand reports show key interactions between the brands you've entered into our engine. This report is designed to give you insight into a segment of your members. 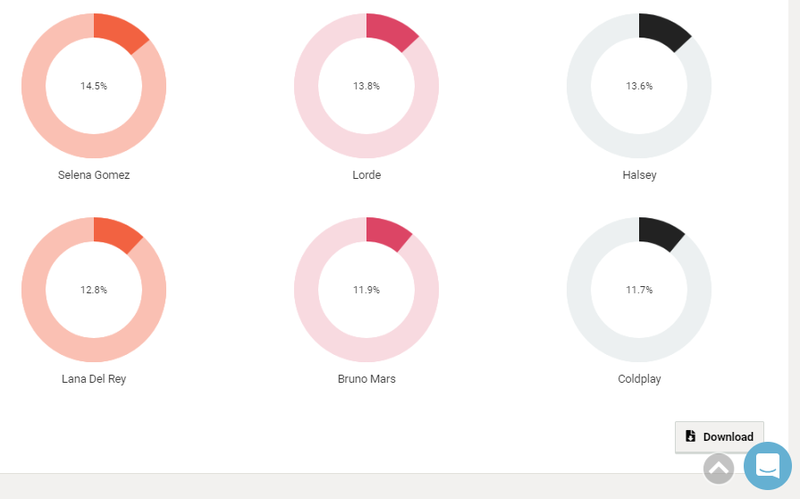 From the example below, you can see that members who engage highly with Taylor Swift also engage with Ariana Grande, Demi Lovato, Justin Bieber, Calvin Harris, and more. You can always add more brands to gain more insight into crossover behaviour. 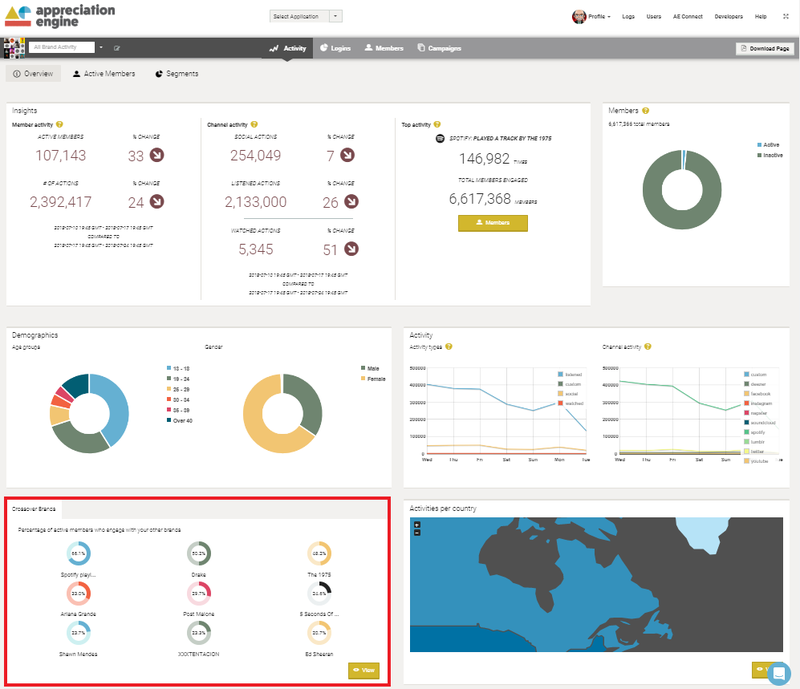 You'll be able to view this crossover brands tab from your main dashboard page (Activity). Just log onto your AE account and scroll down the page to find it. Here it is outlined in red. If you click View, you'll be able to see the full list of brand crossovers. You will then also be able to download a PDF of these reports by clicking the Download button at the top or bottom of the page.